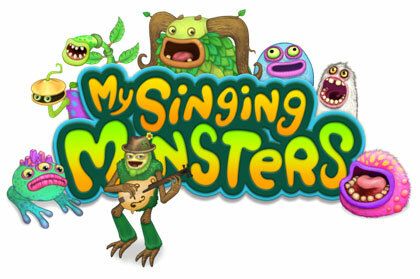 Big Blue Bubble Inc. has joined musical forces with Grammy-winning singer-songwriter Kristian Bush of Sugarland to collaborate on a brand new character for My Singing Monsters, their award-winning and critically-acclaimed title which is currently enjoying success on multiple platforms. Bush contributed vocals and mandolin for the ‘Shugabush,’ which was designed and animated by the talented artists at Big Blue Bubble. The collaboration began when Bush – who was introduced to the game by his 11 year old son – tweeted his affection for the game. Creator Dave Kerr responded, and the two eventually connected off-line to dream up a new fedora-wearing, mandolin-strumming character. The Shugabush will make his debut in the game on Monday, July 29. This entry was posted on Monday, July 29th, 2013 at 10:30 am and is filed under Casual, Everyone, Mobile, Music, National News, New Releases. You can follow any responses to this entry through the RSS 2.0 feed. You can leave a response, or trackback from your own site.